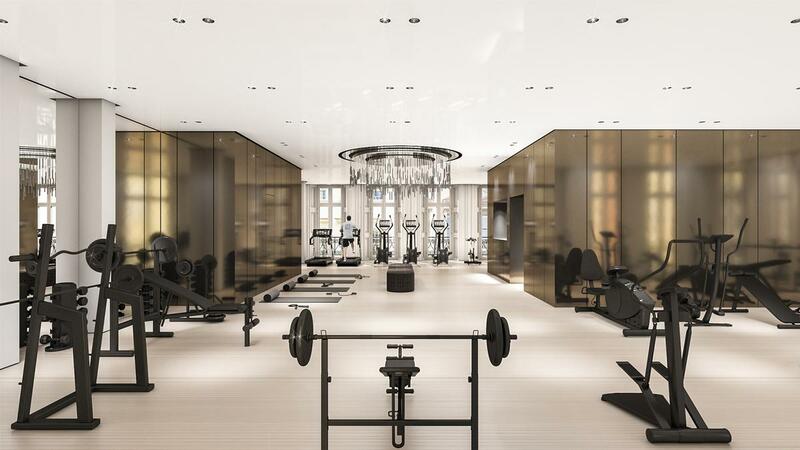 Leading medical spa operators Lanserhof Group has partnered with The Arts Club, a private members club in central London, to develop a state-of-the-art medical gym.Expected to open in May 2019, the new facility is billed as the ‘ultimate medical and gym facility’, and will be the first of its kind to open in the UK. Designed by Dusseldorf-based firm Ingenhoven Architects, the six-storey gym will be the first facility of its kind to offer club members an MRI scan as part of its tailored training programme. Members will also have access to additional personalised services and offerings such as cardiovascular screening, body metabolism analysis, and two physical therapy labs. The facility will also feature a world-class gym, class studios, consulting and treatment rooms, cryotherapy treatment chambers and high-end diagnostic and medical facilities, as well as a carefully crafted menu of healthy food options. Experiences today define brands and categories – is it time for a luxury experience for healthcare testing and treatments? By mixing the experience of a gym, spa and a diagnostic center, it redefines what treatment and diagnostic centers should look like and may alleviate some anxiety. On the other hand, it offers advanced testing to highly health conscious consumers who want to quantify their progress and are hyper aware of their health metrics without having to leave the gym. Burger King wants to burn the competition. Literally. So much so that, in Brazil, anyone who opens their app and points their camera at a competitor’s ad will see that ad engulfed in flames and replaced with a coupon for a free Whopper. It’s cheeky, engaging, and hot. You can read more about it here. Well, it’s on fire. But that’s not all. The use of augmented reality is engaging, but it also creates an implicit hierarchy which puts BK at the top, conquering it’s competition. But what really makes this a hot idea is how it can be a springboard. Thinking about how this idea could take shape in healthcare marketing elicits some big ideas. Living healthy is often about making choices; choosing healthy foods, making time for fitness, avoiding bad habits. If a healthcare brand creates an app like this that treats a fast food restaurant, the comfortable couch, or a pack of smokes as the competition, it can drive people to healthy behavior by helping them to make better choices and rewarding them in an engaging way. In recent years, websites and apps that offer remote access to trained therapists have risen in popularity. The convenience of communicating with a therapist via smartphone and the relatively low cost are some of the drivers behind why people use these services; even the American Psychological Association recognizes online therapy as a resource on its site. 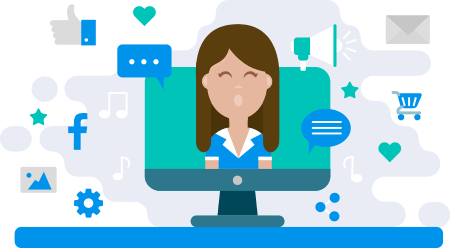 Well-known platforms include BetterHelp, which matches users with an online counselor they can communicate with live via text, phone, or video starting at $40 a week, and Talkspace, which allows the exchange of text, audio, and video messages with a therapist beginning at $49 a week. Other platforms include MyTherapist and telehealth services available through employee assistance programs (EAPs). 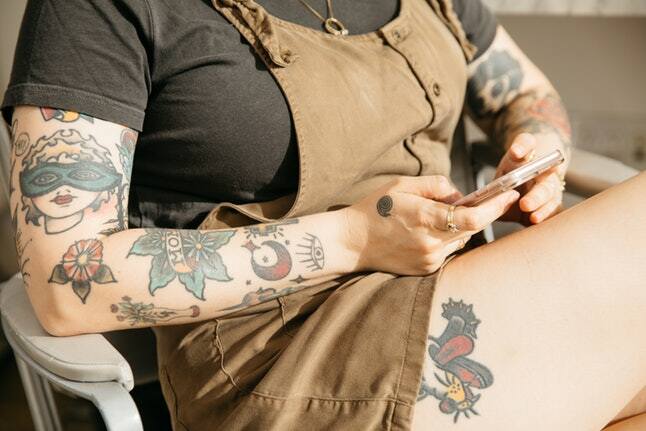 While these apps and services aren’t replacements for traditional face-to-face therapy, as the respective FAQs for BetterHelp, Talkspace, and MyTherapist note, these platforms can help users get more familiar with their mental health. See this additional article in The Guardian for more. Why it’s hot: Patients say that therapy apps have been a cost effective way for them to gain judgement-free access to mental health care that they otherwise may not have even pursued, lowering the barrier to entry to address extremely common but often ignored issues. The convenience factor also plays a big role, as patients don’t have to worry about scheduling or getting to appointments, and can receive on-demand therapy when they need it – to cope with a loss, for example – or ongoing therapy for chronic mental health disorders like anxiety. 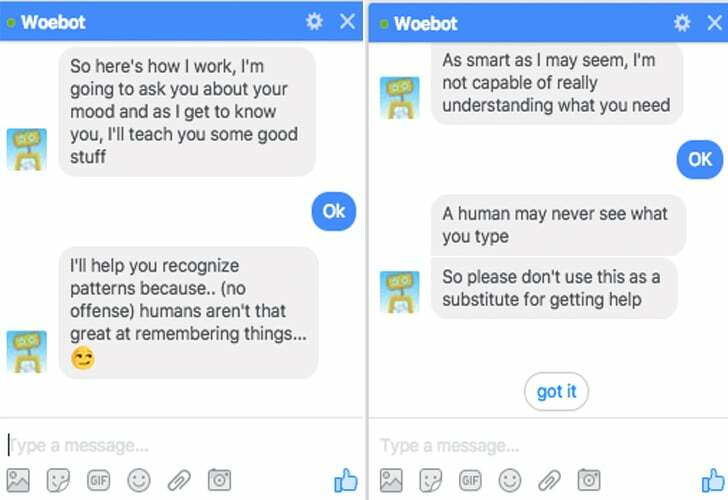 AI counseling is the wave of the future. Cognitive Behavioral Therapy administered by a smart chatbot, via an app relying on SMS, has become highly popular and well reviewed. 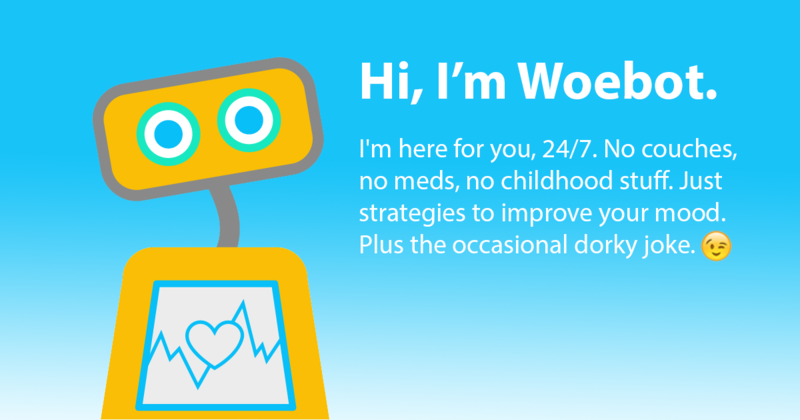 Woebot isn’t just the face of a trend, it’s a notable player in technology transforming healthcare. It’s not new. It’s better. The first counseling software was called Eliza. It was ~1966. Part of the difficulty was it required human intervention. Ironically, in 2019 when many believe a lack of human contact to be part of the problem, that void actually addresses a barrier in therapy. Perceived lack of anonymity and privacy. Sure therapist visits are confidential blah blah but people naturally have difficulty opening up in person. Plus there’s the waiting room anxiety. With an app, studies have shown that people get to the heart of their problem quicker. There’s a ton of demand for “talk therapy” and others. Human counselors can’t keep up. People wait weeks and months for appointments. That’s in the U.S. where they’re compensated well. In this On Demand age, that’s seen as unacceptable. Woebot, and others, address the market need for immediate gratification care. Another issue is cost. Therapy is expensive. Apps are obviously a solve here. No co-pay. All the apps remind users they’re no substitute for human counselors but they are helpful in reflecting behavior patterns and emotional red flags back to their users. At the very least, it’ll help you make the most of your next therapy visit. 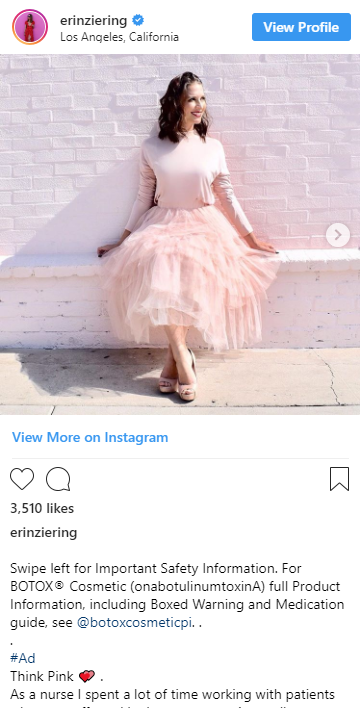 Is There Nothing An Influencer Won’t Promote? Okay. It’s one thing to look to social media influencers for inspiration on a new handbag, sneakers, foundation, hotel stay… What about medication? Surgery? Having advanced in the highly regulated world of medical advertising and come to terms with how to remain compliant with guidelines, pharma is solidly in a new phase of advanced advertising. 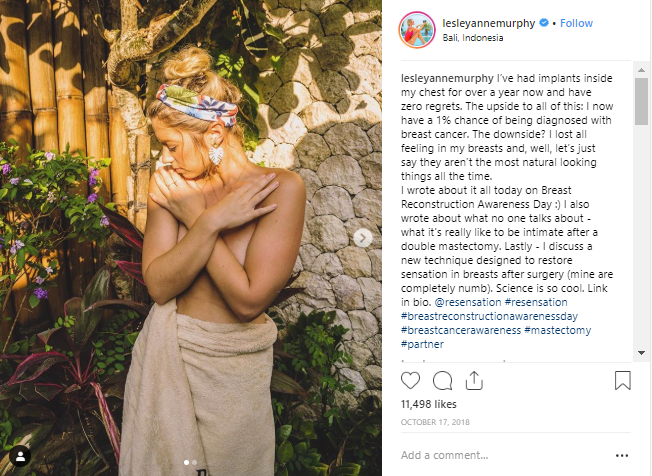 Yes, many other industries have been using influencers on social for years but pharma is often hesitant. No longer (for some). Pharma influencers are paid an ~$1,000 per 100,000 followers. There’s deep pockets in this industry so they’re not just using one or two, they’re using a fleet of influencers to sell a lifestyle. That’s not a stretch either. If you think about the TV ads, they’re not selling psoriasis treatment, they’re selling the freedom to walk with naked legs and arms holding hands with your love interest before you take a dip in the pool. So instead of print, a 60 sec spot, or radio ad, pharma gets the pseudo storytelling candor benefits of influencers’ social feeds. Oh, can’t end without an obligatory mention that the Karshians are, at least, partially to blame. Healthy and Informed? That’s Hot. There’s a million ways to use social media, like finding material for self-righteous indignation. It can also be used to improve public health. Aside from all the Twitter text alerts, patient reviews of medications on YouTube, and questionable use of Instagram by branded treatments, there are legitimate ways using social media can actually improve public health. HOW DOES IT WORK? A notable method of providing a service to society is the use of podcasts. People can learn about public policy, like the Affordable Care Act debate, in a way that’s easy to comprehend with The Healthcare Policy Podcast. Interested in the future of your Healthcare beyond video therapy sessions and chatbots to diagnose common ailments? Think robotic assistants for surgeons, lasers replacing the scalpel in new ways, and enhanced apps to improve med compliance. The weekly MedTech Talk Podcast has that and more. Recognizing the seismic shift social media is bringing to healthcare, we’re constantly looking at our proposals to ensure our recommendations place brands at the forefront. Though Healthcare is right to be cautious, there’s actually a plethora of use cases that can be applied. “Across the board, across all industries, you see about $96 billion in worker compensation costs,” says Benjamin Kanner, CEO and founder of Worklete. “About 64% of those are related to musculoskeletal injuries–your back injuries, your shoulder injuries, your knee injuries. 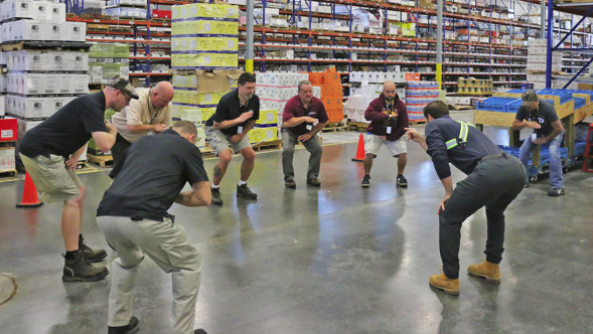 Worklete trains workforces to move in better, smarter, and safer ways, whether that’s teaching the proper driving posture when operating a forklift or the best technique for lifting a five-gallon water jug. Today, 20,000 frontline workers use the smartphone app, which runs each employee through 10 two-week training modules. The first week of each module is centered around movement “basics,” with photo- and video-based lessons followed by short quizzes. The total time commitment is about five minutes per week. The second part of each module involves in-person practice sessions with partners or teams. These trainings are led by “champions,” unofficial leaders on the ground. Champions, typically shift managers, are selected during new client onboarding. For Worklete subscribers, an admin dashboard allows managers to monitor employee progress on training modules on an individual basis, evaluate performance at the city or regional level, and review team rosters, including new hires (marked with red), who might benefit from extra attention. This is great on multiple levels. Not only does it solve a problem (workforce injuries from heavy lifting/general stress), but it also creates brand evangelists within the companies themselves, keeping employees engaged and using the service. Throw in the cost savings from keeping your employees healthy and it’s a no brainer for any company with a lot of physical labor. I would love to see companies with even less physical stress, where people mainly sit all day, use something like Worklete as well. Thanks to a confluence of rising rates of opioid addiction and the availability of insurance dollars for rehabilitation service, vulnerable people affected by addiction are increasingly being targeted with misleading marketing communications, making disingenuous claims and failing to disclose ties to for-profit addiction centers. In particular, members of Facebook groups are being directly contacted by marketers looking to pull them into these treatment centers. Marketers are compensated with anything from a flat pay rate to bonuses attributed to the number and quality of patient referrals. Rehab marketing has been under scrutiny in various ways for making false and misleading claims targeting vulnerable individuals, but the infiltration of Facebook Groups takes the shady to a whole new level. Marketing scams used by unethical treatment centers involve private messaging group members in an attempt to get a client to their treatment center, absent of any clinical consultation or assessment. This article from The Verge dives into detail around one such group, Affected by Addiction. Marketers from the treatment center had to approve every post in the group, which gave them the first opportunity to privately message good candidates for their rehab and try to talk them into going to Windward in California. Why it’s hot: If it continues, what impact will this bad apple behavior will mean for the future of Facebook Groups, a community-builder that Zuckerberg has been all-in on? 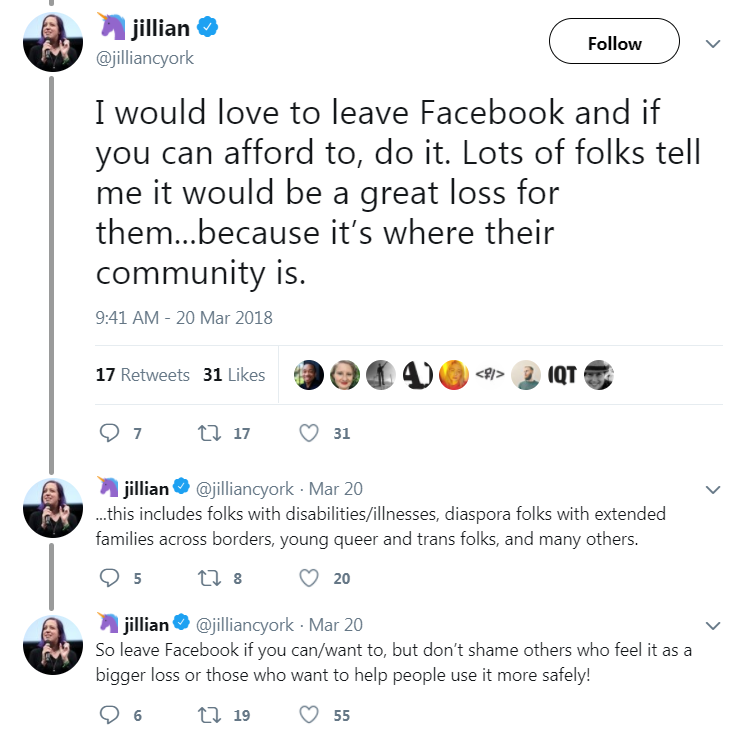 (Communities seemed to be one of the saving graces of the platform during all the #deleteFacebook convesration). Will this and similar activity happening in other communities cause people to further lose trust in Facebook? Will they leave en masse (in favor of darker dark social) or again change how they use the tools? 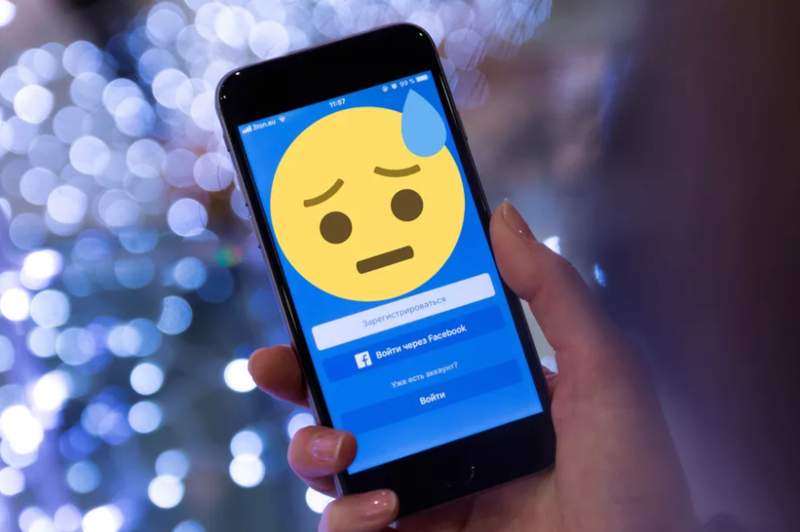 If it continues unabated and has negative impact on user engagement, there could be significant ripple effects felt by brands who rely on Facebook Groups for social listening insights as people move to experiences that are more difficult to monitor or maintain. So, basically, to get an emoji approved, you have two obstacles: the thoroughly corporatized and self-interested voting board, and the complex cross-cultural norms and expectations. 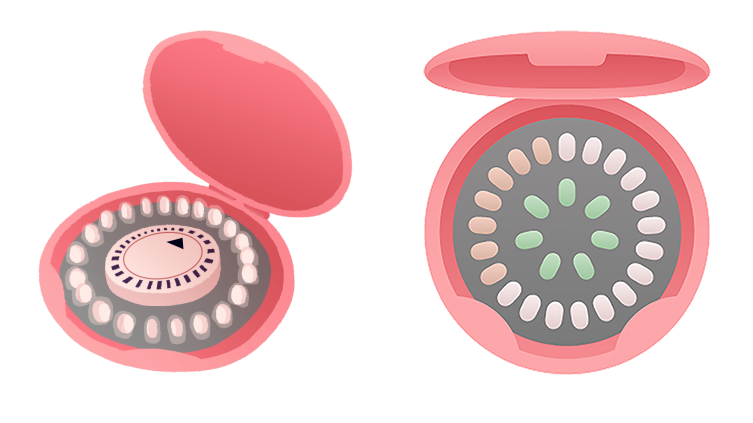 Within this framework, it’s easy to see why a birth control pill emoji would be a complicated one. But last month, two women, Nora Hamada and her friend Megan Giller, sent in a proposal for just that. Hamada and Giller submitted their application with the support of the organization Emojination, a nonprofit dedicated to democratizing the emoji approval process through encouraging and supporting people in submitting emoji proposals to the Unicode Consortium. Some of Emojination’s successful projects include the dumpling, hijab, and ballet flat emojis. In a positive development, the Unicode Emoji Subcommittee recently came back to the two women asking for revisions and more statistics. (The original submitted design is on the left above; revision is on the right.) The next steps are certainly not guaranteed to go well, but it’s a good sign that the Subcommittee showed interest and engagement with their proposal. Hopefully we’ll hear more news about this potential emoji soon. Why It’s Hot: With their emoji application, these two women are forcing the hands of each voting member of the Unicode Consortium to vote on a symbol that represents so many things that corporations are historically total cowards about: feminism, female sexuality and sexual autonomy, womanhood separate from motherhood, etc. The emoji is politically charged for the corporations either way – which message will they decide to send? Fitbit’s plan to launch “women’s health” tracking (aka period tracking – not necessarily just for women!) has finally come to fruition and was launched this week. The tracker is available on the Fitbit app and on two devices, the Ionic and Versa smartwatches. All Fitbit users who have self-identified as female will receive a notification that tracking is available; all other users who wish to use the tracking have to opt in manually. One perceived benefit could be that users can now see their period tracking data alongside their other health data – but even that isn’t a value-add for Fitbit specifically, because many standalone period tracker apps integrate with Apple Health so that you can see all your data side-by-side through that platform. What’s the most interesting about this development is how uninteresting it is, ultimately. The fact that Fitbit just now, in 2018, rolled out period tracking is pretty bad optics. Apple Health, after much outcry, added period tracking in 2015! As The Verge notes, Fitbit itself admitted that period tracking has been a top-five user requested feature for “a while” (sideeye). Is it purely a coincidence they’ve finally decided to focus on period tracking after a dismal holiday earnings report, a bad year last year, and the news that they are no longer the top wearable maker in the US? Their users currently are over half men, so creating this female-focused feature seems like a pretty transparent grab at a new audience segment. Why It’s Hot: A seemingly thoughtful, well-meaning update meant to benefit a historically ignored population turns out to (probably) be a thinly veiled ploy to buy more customers. 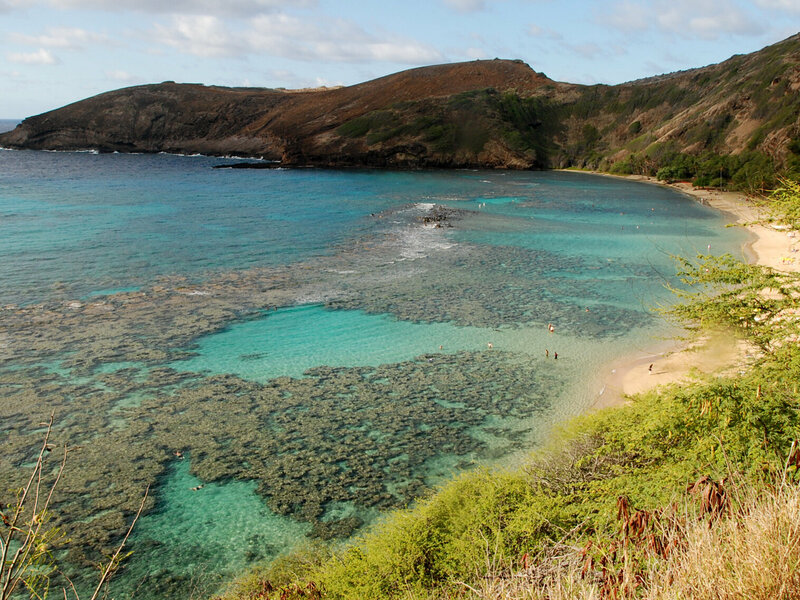 From Hawaiian Airlines’ initiative in April to educate visitors on the harmful effects that many generic sunscreens have on the coral reefs, Hawaii has become the first state to introduce a ban on the sunscreens with chemicals believed to harm the reefs! The bill was introduced on Tuesday and if all goes well, it’ll take effect starting January 1st, 2021. 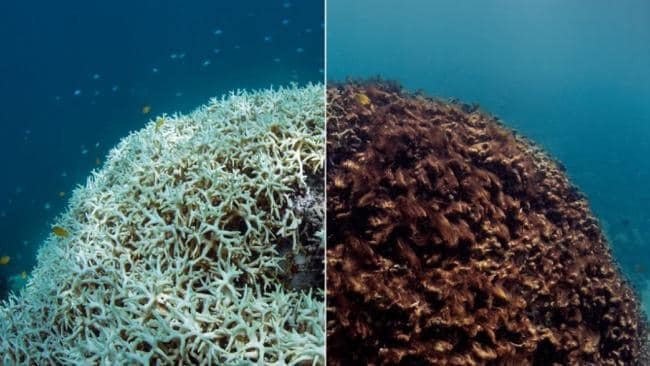 Years of tourism has brutally impacted the reefs and accompanying ocean life leaving Hawaii to step up as they try to preserve what’s left. Who doesn’t want to play amateur Maury Povich? The 23 & Me craze has spilled into the animal kingdom for pet owners who want more info on their pet’s breed and medical predispositions. 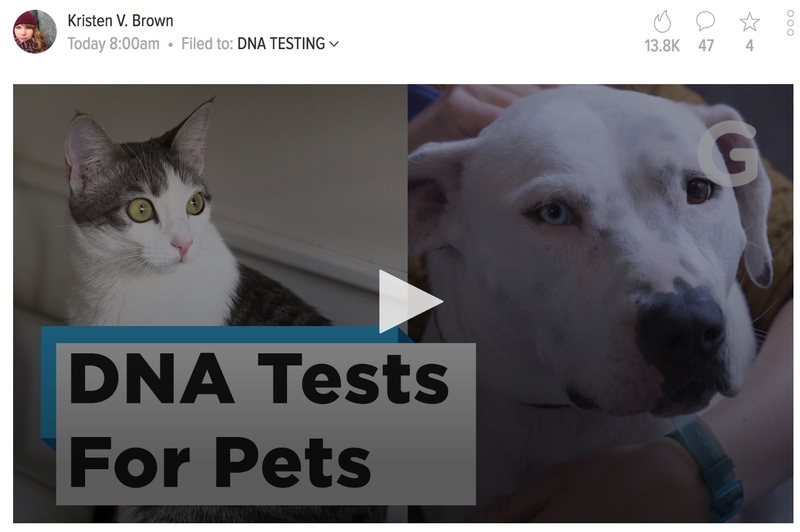 Companies such as Embark and AnimalBiome will gladly take your money to test your dog or cat’s dna. Is it worth it? Probably more for dog owners curious about their breed, but don’t spend too much. While there’s nothing wrong with digging into your pet’s dna, it does feel like someone is taking advantage of a larger trend. An AI program currently in use in Copenhagen, Denmark is set for wider rollout after a series of successful initial testing. 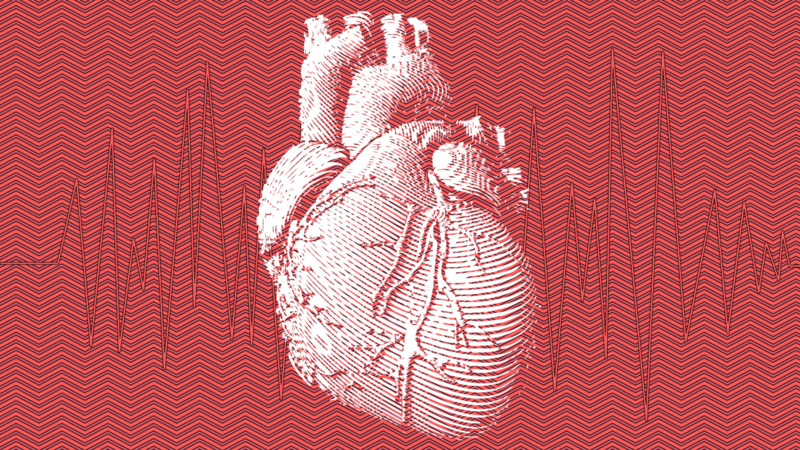 The software, called Corti, listens in on emergency calls and detects common heart attack cues such as breathing patterns, tone of voice, and background noises. It then gives the call dispatcher recommendations in real time of how to proceed. The phone dispatchers in Copenhagen can recognize cardiac arrest from phone calls around 73% of the time; Corti can improve that rate to up to 95% accuracy. This is key because when dealing with someone going into cardiac arrest outside of a hospital, time is of the essence–the chance of survival decreases about 10% each minute, so getting to a diagnosis quickly can literally save lives. Making that diagnosis can be challenging for dispatchers, who have to make sense of symptoms that are being relayed by a panicked friend or relative, often competing with a lot of background noise (sirens, yelling, etc) as well. In one example, when the platform was in testing, it recognized that a man who had fallen off a roof was in cardiac arrest. The dispatcher on the phone deduced that the man had broken his back from the fall, so they gave instructions to the relative on the phone as though the man were otherwise stable. But the AI recognized because of the man’s breathing patterns that he had suffered cardiac arrest and fallen as a result. Since the software was in testing only, it did not alert the dispatcher, and unfortunately the paramedics were unable to revive him. But had the software been able to intervene, it could have alerted the dispatcher, who could have then given CPR instructions to a bystander, better prepared the first responders, instructed someone to find an automated defibrillator, etc. Expanded tests will take place in four sites across Europe from September 2018 to April 2019, and the startup will soon announce their expansion plans in America as well. Why It’s Hot: AI in medicine is not new. What about emergency medicine? Are we ready to let AI into our darkest and most fearful moments? In moments of panic, will we trust machines more or less than humans? 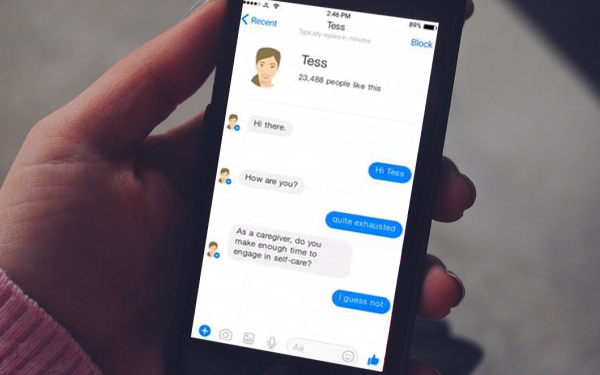 If you’re experiencing a panic attack in the middle of the day or want to vent or need to talk things out before going to sleep, you can connect with Tess the mental health chatbot through an instant-messaging app such as Facebook Messenger (or, if you don’t have an internet connection, just text a phone number). Tess is the the brainchild of Michiel Rauws, the founder of X2 AI, an artificial-intelligence startup in Silicon Valley. The company’s mission is to use AI to provide affordable and on-demand mental health support. A Canadian non-profit that primarily delivers health care to people in their own homes, Saint Elizabeth recently approved Tess as a part of its caregiver in the workplace program and will be offering the chatbot as a free service for staffers. To provide caregivers with appropriate coping mechanisms, Tess first needed to learn about their emotional needs. In her month-long pilot with the facility, she exchanged over 12,000 text messages with 34 Saint Elizabeth employees. The personal support workers, nurses and therapists that helped train Tess would talk to her about what their week was like, if they lost a patient, what kind of things were troubling them at home – things you might tell your therapist. If Tess gave them a response that wasn’t helpful, they would tell her, and she would remember her mistake. Then her algorithm would correct itself to provide a better reply for next time. While the accessibility of support like this is appealing, Tess raises the usual questions of mis-use and ‘mistakes’. We’ve talked a lot about AI in healthcare recently, with a big focus on AI being used as a diagnostic tool to process scans/images and find potential issues. All of this technology thus far has been created with the understanding that the AI’s results will be reviewed and evaluated by a trained, specialized medical professional. That is, the doctor is still the final decision-maker, and the AI is her assistant. All that changed this week, when the FDA announced its approval of the first AI tool that is meant to operate and issue a diagnosis completely independently, without any supervision from a specialized doctor. 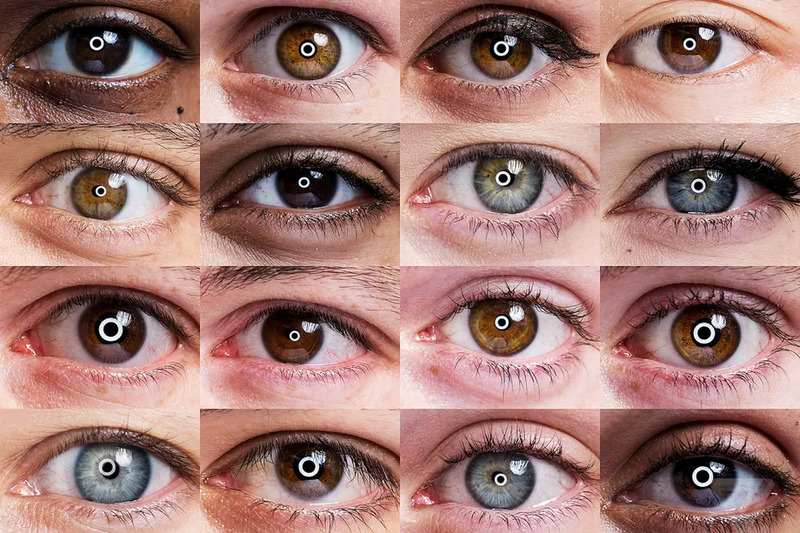 The software program, named IDx-DR, can detect diabetic retinopathy, a form of eye disease, by looking at photos of the retina that a nurse or doctor uploads to the program. After checking the image to make sure it’s high-resolution enough, the program evaluates the photo and then gives a diagnosis. This is great on one level – it means that any nurse or doctor can upload a photo, and patients don’t need to wait to see a medical specialist in order to review the AI results and get a diagnosis. So theoretically, medical care will be more accessible and sooner. But, the flip side is a tricky ethical situation… Who is responsible when the diagnosis is wrong? Why It’s Hot: Wait, are robots actually coming for our jobs after all? And who do we blame when they screw it up? Tin Man had a Tin Baby? A tin-foil baby sounds like something out of a black mirror episode, but here we are. Professors from Purdue University designed a baby made out of tin-foil, for science. The purpose of the baby tin man was to study how babies are exposed to harmful particles as they’re so close to the ground during infancy. Dangerous particles are found in higher concentration as you get closer to the ground, exposing babies to some seriously sickening stuff. Another issue is due to the fact that babies primarily breathe through their mouths, causing a lot of the filth to be deposited in the lower airways and just causes some bad effects in the long run. Oh, baby. It’s an interesting one for sure, but surprisingly not a lot of people care about where their babies crawl around and just let them play when they want to. This could help guide better and more cognizant parenting. In short, “delete Facebook” is just not that easy. 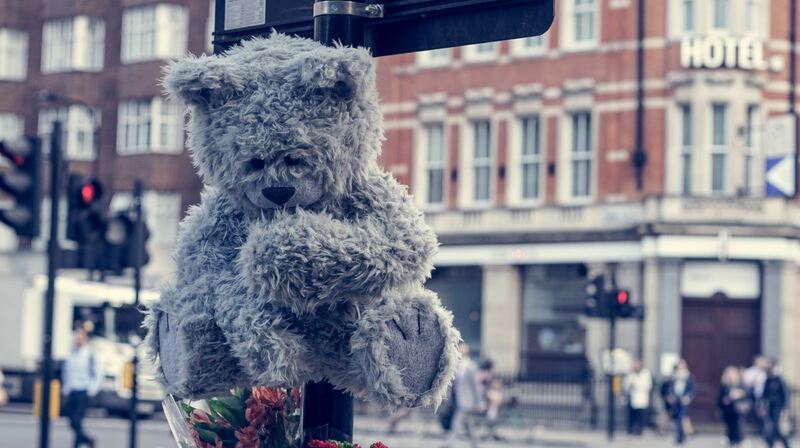 Why it’s hot: While the media and some in the ad industry may be quick to oversimplify and describe the current scandal as a death knell for the platform, there’s more at stake and more to consider than what’s on the surface. This could be particularly vital to keep in mind for healthcare communications, noting the above tweet referencing disease-specific diaspora. AI is quickly becoming a promising technology for healthcare around the world, but China is gearing up to become THE global leader in AI in healthcare in the coming decades. This market is also being targeted by China’s big tech companies. Both Alibaba and Tencent have research units for developing AI diagnostic tools, and a Beijing-based consultancy reported 131 companies currently working on applying AI to China’s healthcare industry. Per IDC, the AI healthcare market in China will reach nearly a billion dollars (USD) by 2022. Though there are many different types of AI tools being developed, image processing is the biggest category now. The tools, which rely on image classification, play to the strength of the latest deep-learning algorithms. And, it’s one of the things doctors need the most help with from a volume POV. For example, next month, a hospital in Beijing that treats a jaw-dropping 10,000 outpatients every day will start running all its lung scans through an algorithm that expedites the screening process. The algorithm, developed by a Beijing-based startup called PereDoc, can quickly spot nodules and other early signs of lung diseases. It allows doctors who are overwhelmed by patient volume process these scans in an accurate and expedited way. Why It’s Hot: The general consensus around AI, in the US at least, is that it’s COMING FOR OUR JOBS! But this is a wonderful example of how emerging technologies can actually fill urgent gaps in critical industries, allowing for faster and more effective treatment and a better patient experience. Every bite you take – I’ll be watching you! Researchers at Tufts University have engineered a tooth-mounted sensor that tracks your every bite (and what it contains). The device is two square millimeters in size and sticks to the surface of a tooth. The sensor is ingeniously simple — when its central layer changes encounters different chemicals (salt, ethanol), its electrical properties shift, transmitting a different spectrum of radio waves. Currently, the patch is set up to wirelessly transmit information about glucose, salt, and alcohol to a mobile device; its creators think it could be adapted to monitor even more metrics, including “a wide range of nutrients, chemicals and physiological states,” according to a press release. But a tracker like this one could also have some negative side effects. Indeed, one 2017 study found that fitness tracking devices in general were associated with eating disorder symptoms among college students (though, strangely, the same didn’t hold true for calorie counting apps). For better and/or worse, wearable tech gets one step closer. What’s not hot is you have to die in order to do it, but what’s interesting is the idea of exploring our consciousness as almost iPhone storage. That reincarnation by technology could be possible. Microsoft launched Soundscape, a new app that aims to help people who are visually impaired navigate better by giving them 3D cues. They don’t want to replace guide dogs or canes but enrich people’s perception of their surroundings. A guide dog can’t tell you that there’s a Nike Store just around the corner. Using GPS and the built-in compass on the phone, the app can give people audio cues. The app offers three possible actions: ‘locate’ tells you where you are, ‘around me’ calls out four points of interest around you and ‘ahead of me’ provides the names of five landmarks in front of you. It might not be a groundbreaking innovation and in terms of technology, it might not be the most advanced thing. But there’s nothing better than seeing technology been used to improve the quality of life of people. AC Wellness is an independent medical practice dedicated to delivering compassionate, effective healthcare to the Apple employee population. The company will build two clinics, one in the Apple headquarters building, and one just north of it. The clinics are going to be concierge-style, with job postings ranging from medical assistants / nurses / phlebotomists to primary care doctors, health partners, clinical exercise coaches, and care navigators. 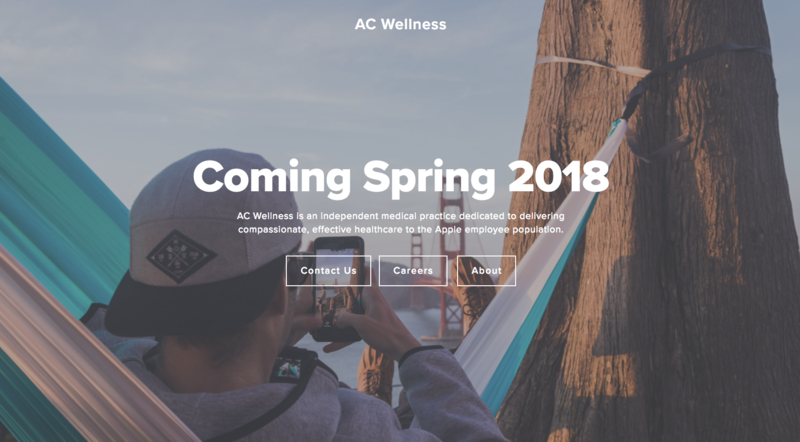 Sources told CNBC that Apple “plans to use AC Wellness clinics as a platform for testing out products and services that it could eventually provide for all consumers,” but it’s pretty clearly being rolled out as an employee-only venture for now. Why It’s Hot: This isn’t the first instance of tech companies moving into the deeply dysfunctional healthcare space – Amazon recently announced a partnership with Warren Buffett and JPMorgan Chase, though the details of that partnership are sketchy. But this seems to be the first move by a tech giant to opening a privatized medical care center. In a country that already uses healthcare to stratify economic classes via linking insurance to jobs, what does it mean that Apple employees get not just better insurance, but better CARE because of their ability to get a job at Apple? What will happen if job-based doctor’s offices become the norm for certain social/economic classes of people? Australian researchers at the Centre of Excellence for Nanoscale BioPhotonics, a transdisciplinary government network, have created a 3D-printed device that clips onto smartphones, transforming them into fully functional microscopes. The device was developed with the goal of helping researchers and scientists have access to this crucial tool in remote regions and developing countries. The microscope works by clipping an additional lens to the phone’s camera lens, and then holding slides up to it. Users can use the phone’s existing flash to do bright field or dark field imaging, which means the microscope can visualize both plant and mammalian cells. It’s powerful enough to view specimens as small as 1/200th of a millimeter. All of this means that the microscope can be used for things like analyzing water cleanliness, testing blood samples for parasites, and diagnosing diseases including malaria. There are other portable microscopes on the market, but they require external LEDs and power sources, and get bulky surprisingly fast. This microscope makes full use of the smartphone as a power and light source, requiring nothing other than the clip itself. Best of all? The researchers have made the 3D printing files free to the public. Good job, team. Why It’s Hot: The 3D printer is again an innovation powerhouse, creating lifesaving technology with an incredibly low barrier to entry. And in making the printing files free to the public, these researchers are making a fantastic statement on putting the common good above individual profit. Would this have happened if a corporation, not a government program, made this innovation? The FDA has approved the first-ever blood test that can detect signs of concussions, a huge step forward in the quest to make concussion diagnosis faster and more accurate. 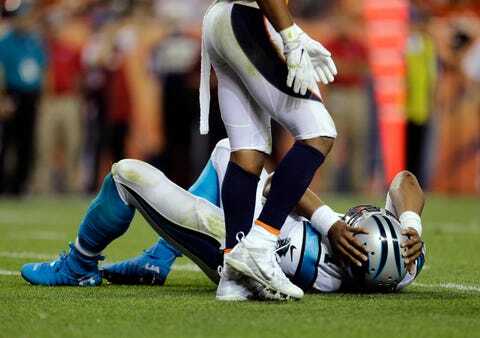 The two main ways of detecting concussions now are giving patients a neurological test or, frequently, a CT scan. The neurological tests are not always accurate because the medical professional giving the test often isn’t familiar with the patient’s baseline performance. And CT scans, while a powerful diagnostic tool, expose people to high doses of radiation – about the equivalent of 100-200 chest X-rays – and are very expensive. So it’s not that we don’t have ways of diagnosing concussions, it’s that our current method is akin to using a sledgehammer to pound a small nail. What’s missing is a way to figure out who should be given a CT scan for further diagnosis, and who doesn’t need it. This is where the blood test comes in. The blood test works by measuring two proteins the brain releases into the blood after a head injury. 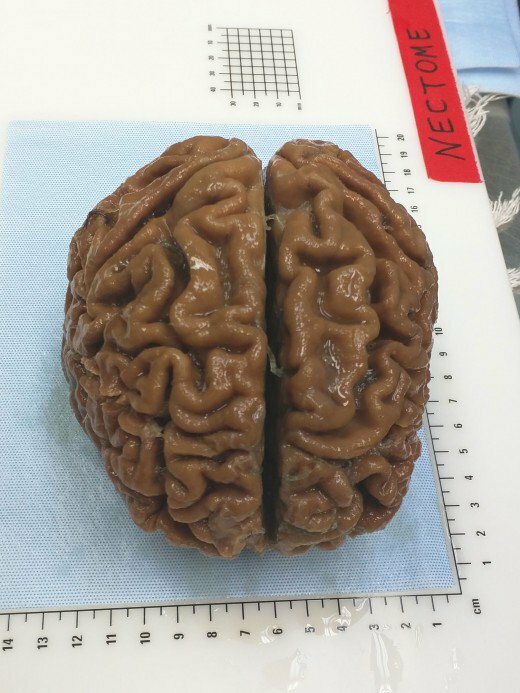 The levels of these proteins will indicate whether the patient has lesions on their brain that will be visible in a CT scan or not. And it’s very accurate – it can predict the presence of a lesion 97.5% of the time, and determine who doesn’t have a lesion 99.6% of the time. Though sports – football in particular – immediately come to mind (no pun intended) on the topic of concussions, the urgency of this drug development was actually a result of military necessity. As traumatic brain injuries have mounted during the wars in Iraq and Afghanistan, the armed forces have been desperately seeking a way to quickly predict whether a blow to the head has caused bleeding or bruising in the brain (and, therefore, what the best plan of treatment is). The development of this blood test, as well as the clinical trials preceding FDA approval, were largely underwritten by the U.S. Army Medical Research and Materiel Command. Test results can currently be obtained in 3-4 hours, but the Defense Department is working with the drug company to reduce that window to one hour. Why It’s Hot: The funding and pressure from the armed forces had a huge impact on the speed of this blood test’s development and FDA approval. It will certainly benefit the men and women serving in the military, but it also has a massive wider impact on the general public, as well as other people at high risk for brain injuries (athletes, etc). What other medtech breakthroughs can we look forward to from unexpected sources? MDMA – aka ecstasy – as part of assisted psychotherapy is entering final round of clinical trials in Vancouver, clearing the path for Canada and the United States to approve the drug for therapeutic use as early as 2021. The therapy consists of three 8-hour sessions in which the participant takes MDMA, and 12 sessions without the drug. The entire process spans three-and-a-half months. The FDA designated MDMA a “breakthrough therapy” for PTSD in August 2017, and they have agreed to approve the therapy if stage three studies show the drug is effective and there are no safety issues. They have also greenlit a third round of clinical trials in the US, but MAPS (the Multidisciplinary Association for Psychedelic Studies), the organization overseeing the research in North America needs to raise $25 million first to conduct the US study. MDMA is an empathogen, meaning that it stimulates togetherness and trust among users. It also inhibits activity in the brain that treats fear and stimulates hormones that make people feel more connected. So the drug is powerful in PTSD therapy in particular because it allows participants to open up to their therapists and talk about their experiences in a trusting, bonded way. Traditional PTSD treatments can last years and years, and focus on desensitization (aka reliving experiences) which can cause emotional pain and trauma. Just 10 to 15 percent of people recover, and the drop-out rate is high. MDMA-assisted therapy, on the other hand, usually lasts fewer than 4 months, and two-thirds of participants were free from PTSD one year after treatment. Why It’s Hot: The government has been incredibly slow to legalize psychedelics partly because, per MAPS founder Rick Doblin, pharmaceutical companies don’t stand to profit from studying compounds that are in the public domain and cannot be patented. This trial marks an important step toward legalization of a drug purely because of its therapeutic benefits, and not because of lobbying/fundraising/pressure from pharma companies. As a part of its efforts to curb the current opioid crisis in America, the FDA has requested that OTC anti-diarrhea medications modify its packaging to make overdosing more difficult. These drugs, specifically Immodium A-D and various store brands and generics, are tied to the opioid crisis because in massive doses, the active ingredient, loperamide, works in the body the same way as heroin, morphine, and oxycodone. Some people suffering from addiction are buying the anti-diarrhea meds and consuming huge amounts of them – between 50 and 300 pills per day – in order to maintain their high or to self-treat their opioid withdrawal symptoms. Since the pills are relatively affordable, selling at big box stores at $10 for 400 pills, the drug is an appealing quick fix. 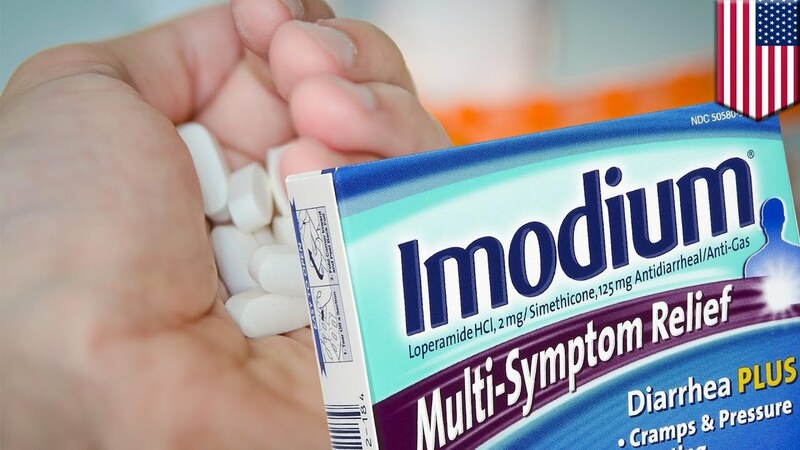 The FDA already added a warning to the product label in spring 2017 to warn against ingesting high doses of loperamide, including from abuse and misuse, but of course that warning label uh… didn’t help. (Shocker.) So they’re taking a design-based step and asking manufacturers to alter their physical packaging in order to change user behavior. For example, a retail package could contain eight 2-mg capsules, enough for two days of medication for its intended purposes. Think of how Sudafed, NyQuil, etc are packaged in individual and frustratingly difficult-to-open blister packs – it would take a lot of physical effort to gather and dose a huge quantity of those medications. Why It’s Hot: Changing the physical packaging of medication to alter user behavior is a fascinating UX/product design strategy. It involves cost and effort on the manufacturer’s behalf to redesign and repackage the medication, but if it works, it’s a blunt and effective approach. What else could we physically alter in order to change users’ negative or self-harming behaviors? My last post on ingestible was about sensors powered by stomach acid. Now? It’s about a tiny robot that walks, crawls, jumps and swims. The robot prototype is small enough to move around in a stomach or urinary system, said Metin Sitti, head of the physical intelligence department at the Max Planck Institute for Intelligent Systems in Stuttgart, Germany, who led the research team. The robot hasn’t been tested in humans yet, but the goal is to improve it for medical use — for instance, delivering drugs to a target within the body. First of all, totes adores! But the real magic is in the continued potential to make life healthier for us all. What Amazon, JP Morgan and Berkshire Hathaway have in common? “JPMorgan Chase and Berkshire Hathaway have joined forces with Amazon to form a new healthcare company for all U.S. employees. Right now details are so sparse there’s not even a name associated with the new company. However, this is big news for the industry, and it could possibly have ramifications not only for health insurance giants, but also smaller tech companies that are open to either partnering with the company — or even being acquired by it. The decision didn’t come overnight. According to reports, the heads of each company — Jamie Dimon, Warren Buffet and Jeff Bezos — have chatted for years about how to fix the problem of high costs and a broken healthcare system. If the system is not working, you have to break the system – probably that’s what these companies and its leaders have in mind.